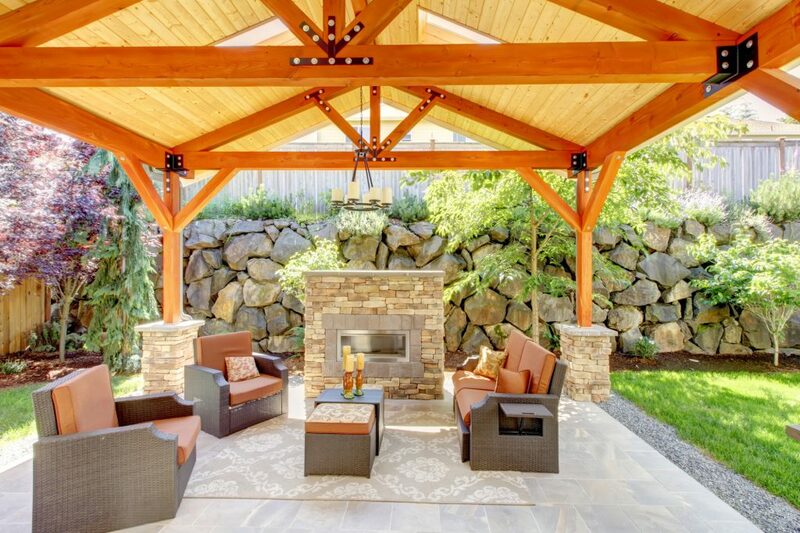 REMAX Are You Enjoying Your Home Outdoor Space? Homeowners care about the entertainment value a backyard offers, and they are devoting money to sprucing these spaces up, according to the latest Houzz Landscaping Survey – based on responses by more than 750 homeowners who are either in the middle of a landscaping project or planning one. Homeowners are investing in several landscaping projects to make their outdoor areas more livable, such as adding more seating with lounge furniture and benches. They are also adding fire pits, ceiling fans and patio heaters so they can extend the use of their outdoor space into more seasons. Owners also say outdoor string lights and rugs can improve the outdoor ambiance too. Technology is also being added more into the outdoors. Homeowners have added or upgraded entertainment systems outside, by either opting to add an outdoor television or wired and solar speakers. Most of the outdoor projects are occurring in the backyard at 70 percent, but 39 percent of homeowners say they updated their front yards and 30 percent say their side yards. Homeowners who are adding or updating items in their front yard are focusing on curb appeal, such as adding flower beds and borders shrubs and perennials. The costs can vary widely for how much homeowners are spending on their landscaping projects. In the survey, more than half of homeowners who completed their outdoor renovation spent more than $10,000 and nearly one-third renovated spending less than $5,000. Homeowners say that since finishing their remodeling project, they are spending more time entertaining outside and enjoying their new space by relaxing or gardening.